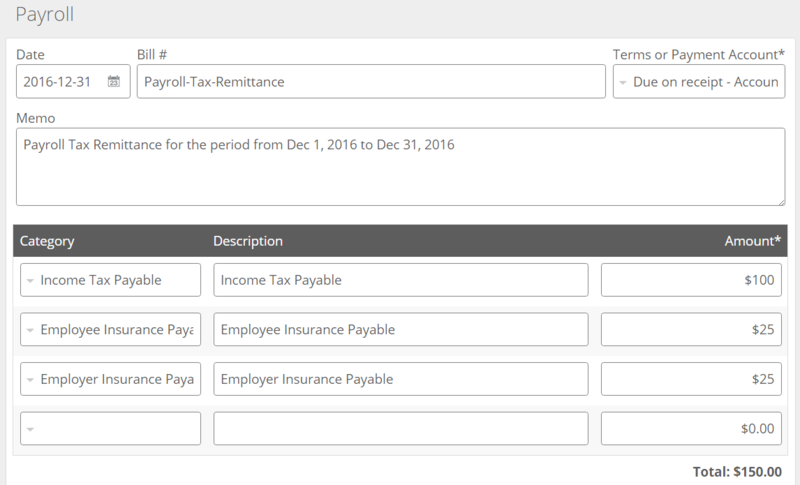 Learn how to enter your payroll deductions into Kashoo if you live outside of the USA or Canada. Note: If you operate a business in Canada or the USA, please see our articles specifically made for those countries: Entering Payroll Deductions - USA and Entering Payroll Deductions - Canada. The first thing you will need to do is make sure that you have payroll accounts set up. When you pay an employee, you deduct payroll taxes that you’ll then remit to the government. Check with your local tax authority to find out what kind of taxes you need to withhold and pay for employees. To create those accounts go to Accounts under the Setup section in the left hand navigation menu. 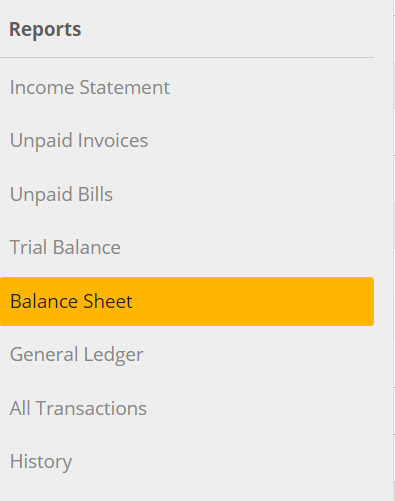 In the Add New Account section, add the Taxes and Remittances accounts that you need, like so. If you look at the Liabilities / Credit Cards section, you will see the new accounts that have been created. 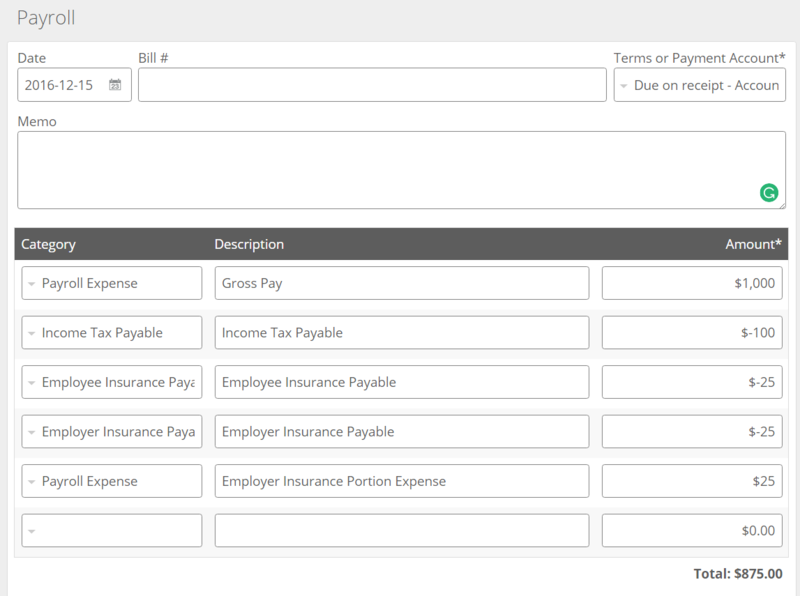 You can create an employee paycheque by going to the Payroll page. So after taxes, the Gross Pay of $1,000.00 becomes Net Pay of $875.00. 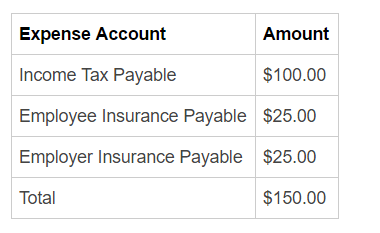 Given a paycheque like the one above, this is how it would be entered in the Payroll page. 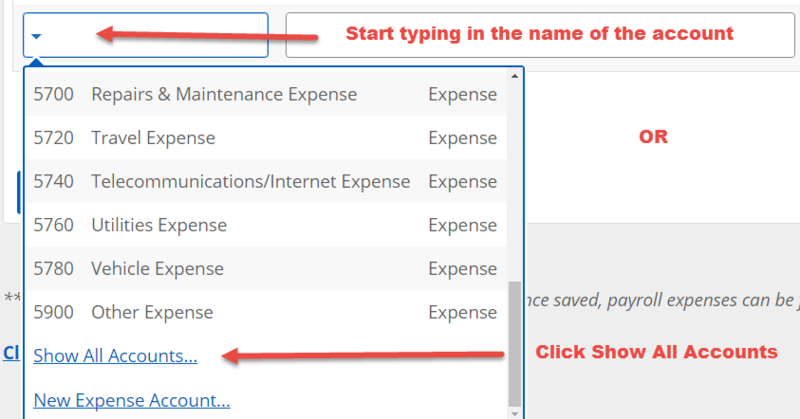 Note: To get the Tax and Remittances accounts to show up in the Expense Account field, you will have to scroll down to the bottom and click Show All Accounts. Alternatively, you can simply start typing in the account name into the text box and it will display accounts that match the name. Note 2: Take special notice that the Expense accounts are positive and the Payable accounts are negative. 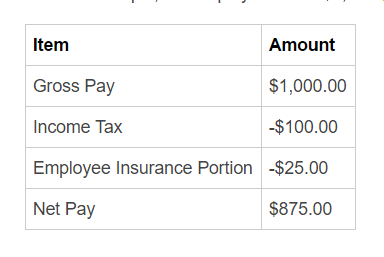 In the end, the Payroll Expense is $1,025. $875 will go to the employee, while $150 in income and insurance taxes will go to the government and be entered into the books as liabilities. After you Save the paycheque it'll show up in your Expenses. You can go directly to it by clicking on the Edit link. Something that will be missing from the new expense you created is the Vendor name. So make sure to enter the name of your employee in the field and then click on Save. 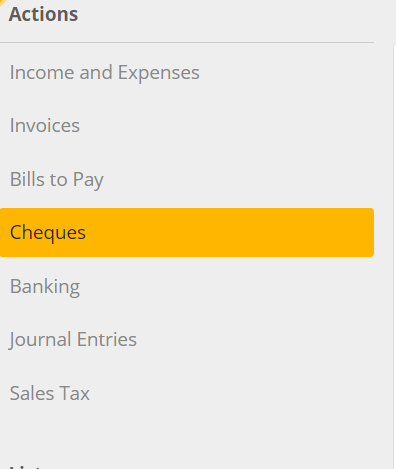 If you'll be paying the paycheque electronically (like via a bank transfer), then you record this in Kashoo by going to the Bills to Pay page and then the Enter Bill Payment tab. 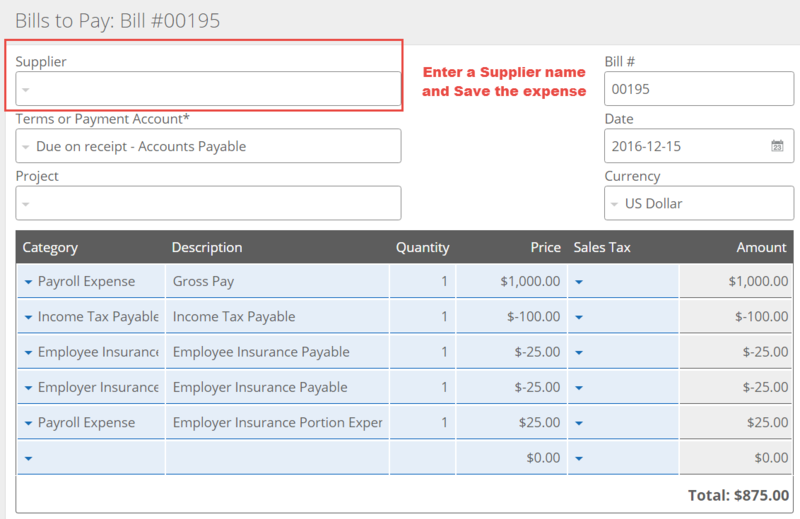 You then choose your Date, Supplier (Employee) name, Payment Account, enter the Amount to pay, and click on Record Payment. If you'll be paying with a paper cheque, you can use the Cheques page. 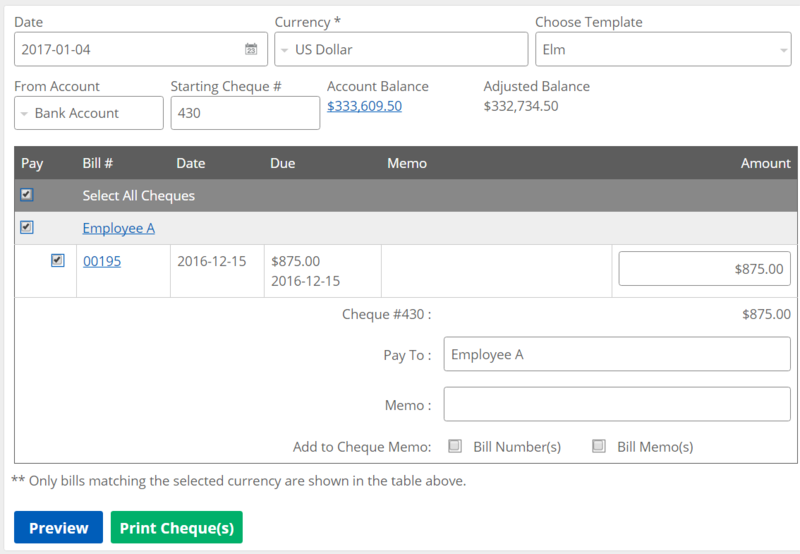 In the page, choose the Date you want to print the cheque on, choose the From Account to select the payment account, enter the Starting Cheque #, and then click on the checkboxes to select the employee paycheque to pay. Then click on Print Cheques, confirm the details, and proceed to print the cheque(s). If you need additional information about printing cheques, please view this article. Go to the Payroll page to remit payroll taxes to the government. Once you save this entry, make sure to click on the Edit link to add a Supplier name. 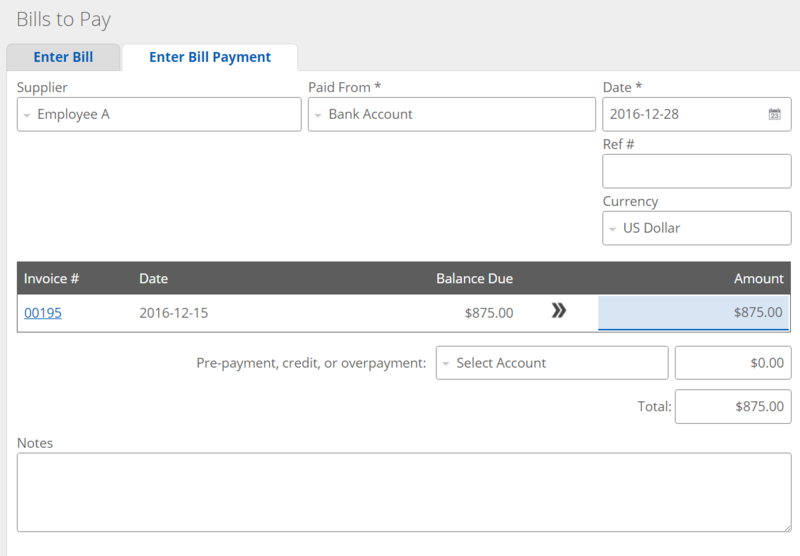 After that, you can pay the bill by going to the Cheques page or by going to the Bills to Pay page and using the Pay Bill tab, just like you did when paying the employee paycheque.